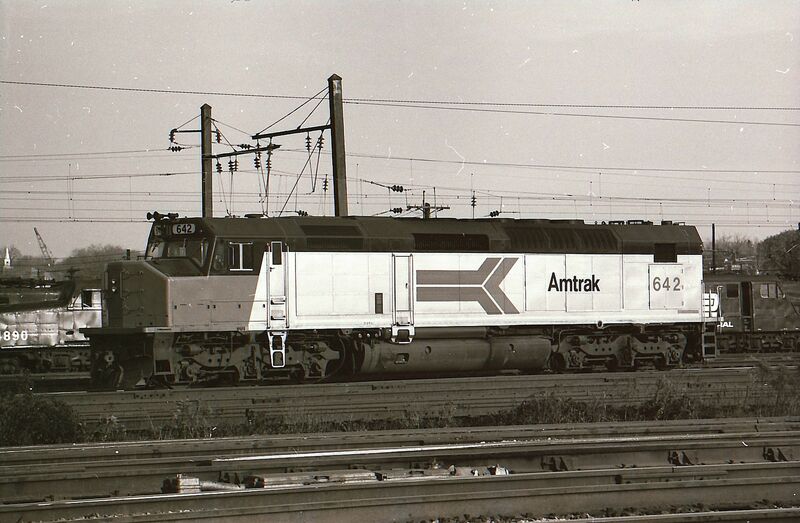 Amtrak 642 SDP-40F. Note unit has three different fuel filler caps to be compatible with different railroads in may operate on. Rear third of tank is for water used in units two steam generators.